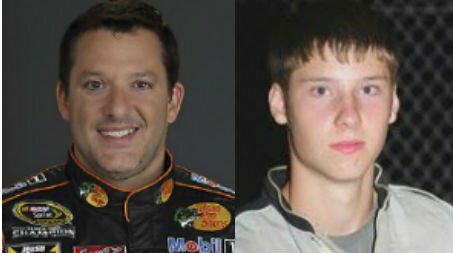 The investigation into sprint car incident with Tony Stewart that killed 20-year-old Kevin Ward Jr. on August 9 will continue for several weeks, Ontario County Sheriff Philip C. Povero has said. “The investigation into the death of Kevin Ward, Jr., of Lewis County, N.Y., is ongoing and is expected to continue for at least another two weeks or more,” Phillip Povero said in his statement. “Investigators continue to seek witnesses, gather evidence, and develop the racetrack crash reconstruction. However, it would be inappropriate to discuss details or findings of the investigation with the media at this time. I would like to thank everyone for their cooperation as the Ontario County Office of Sheriff continues this investigation and for having patience as we conduct a thorough review of all of the relevant facts involving this tragic accident. After Saturday night’s incident at Canandaigua Motorsports Park, Tony Stewart decided to sit out the NASCAR Sprint Cup Series race at Watkins Glen International. According to an update provided by Sheriff Povero, no evidence supports charges against Tony Stewart. “As we speak, at this time, there are no facts that exist that support any criminal behavior or conduct or probable cause of a criminal act in this investigation,” he said. Tony Stewart remains undecided on whether he will compete in this weekend’s Sprint Cup Series race at Michigan International Speedway. However, all of his “extra-curricular racing plans” have been canceled for the weekend and “won’t resume until further notice”. Although the fatality occurred in a local-short track race and not a NASCAR event, a senior NASCAR official who spoke on background said the sanctioning body is studying the incident, as it does with accidents and events in other series and even other sports. The official said that if NASCAR decides to make any changes as a result of the Stewart-Ward accident, they will not be announced until Friday, out of respect for Kevin Ward’s family. Visitation is scheduled for Wednesday afternoon and evening, with the funeral Thursday.